#BlackLivesMatter makes some people angry. Isn’t that good? A new wave of activism is rooted in a different spiritual tradition to the civil rights movement of the 1960s. 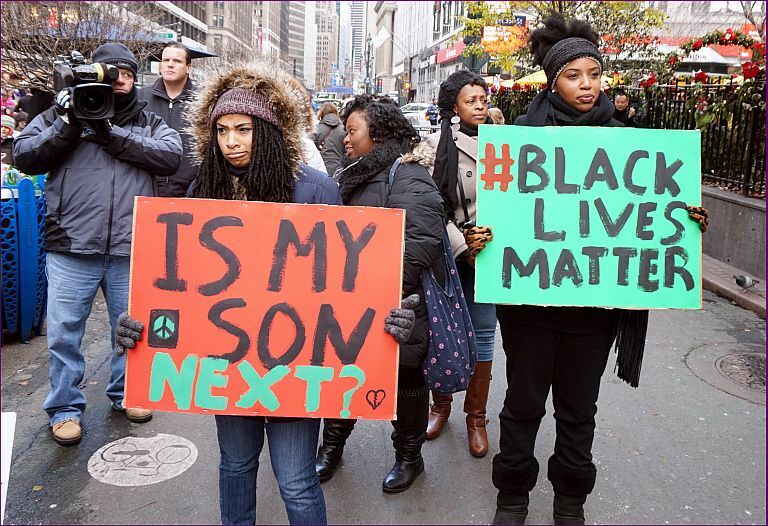 Black Lives Matter (BLM) began in 2014 as a hashtag after the acquittal of George Zimmerman in the Trayvon Martin case and evolved into a social movement. Since its inception, it has grown to 28 chapters in over 17 states in the USA, and one international chapter in Toronto. There’s no denying that the movement wants to disrupt the status quo, and that makes some people angry. 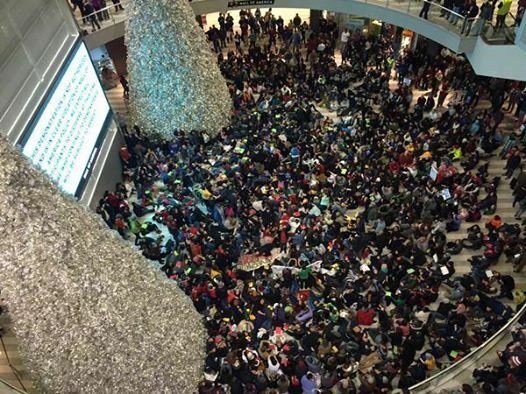 They have shut airports and stopped Black Friday sales with their protests against police brutality. This entry was posted in Civil Rights, Corruption, Demonstrations & Protests, Human Rights, Racism, Social Justice and tagged Barack Obama, Bernie Sanders, BlackLivesMatter, Civil Rights, Corruption, Donald Trump, Equality, Freedom Riders, Hillary Clinton, Human rights, Police Brutality, Protests, Racism, social justice, Trayvon Martin on June 8, 2016 by ew.